Mark Ashton (aka Masha, Cobbler) begun working at Cyberlife in 1995/96, doing testing for the original Creatures, and then after release supporting the title with add-on COBs (carrot beetles, cloud layer butterflies and all sorts of other wackiness). He worked his way up to a position in production, being responsible for ecology and agent engineering in Creatures 2, Creatures 3 and Docking Station in addition to his duties as a manager. Mark was also the main input into the Creatures Developer Network, and provided assistance and knowledge about the arcane language called CAOS. He was a member of the Creatures Community on Active Worlds, being known there as Cobbler. Mark was producer for Docking Station, Creatures PS1 and Creatures GBA, handled manuals and extra sound effects (including the infamous DJ_G track). Mark wrote the original Docking Station Story and took it in turns with Ashley Harman to write the individual stories that accompanied the breed packs. 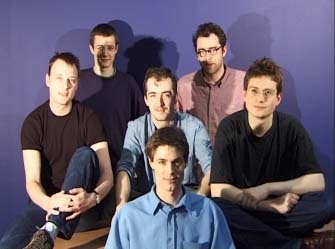 Mark left Creature Labs with Robert Dickson in late 2002 to join Nicely Crafted (see history). His website, Grendel Overground is still available, though no longer maintained. Mark's favourite saying was: Peace and Carrots! This page was last modified on 19 October 2012, at 11:27.